As I grew older, my preferences have started to vary, it is as if I am no longer my old self. I used to really like cutesy stuff back in college, but I now try to stay away from those and prefer simplicity, functionality and value. Lately I noticed, I stopped wearing clothes with loud colours and prints, so different when I was so much younger! 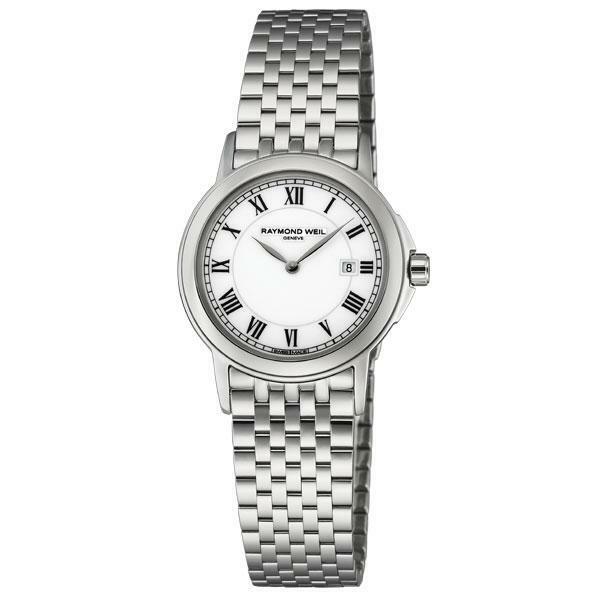 Even in accessories, I prefer minimalist style like watches raymond weil and just a pair of stud earrings. Oh my! God knows what I’d do to have a watch like that! So nice and pretty I want it for my birthday please! I have been harboring this love and hate relationship with Divisoria for a long long time now. Many times I’ve said to myself not to visit the place again but I just keep coming back to it! Even when I hate its smell, dirty roads, pickpockets and its traffic, I always find myself visiting Divi at least once a year. Last Monday, I went there to meet my brother’s colleague, but I couldn’t resist it, I ended up shopping for Christmas gifts. It’s impossible to ignore the temptation when everything you see is at bargain rate. 3 Dresses for myself = 1000. A little pricey but I could get each of those dress for 1000P in malls yah know. Toys toys toys and a lot of toys to be given away to the kids in my barrio = 495P only! 4 bags for only 550P. Yes, 4! 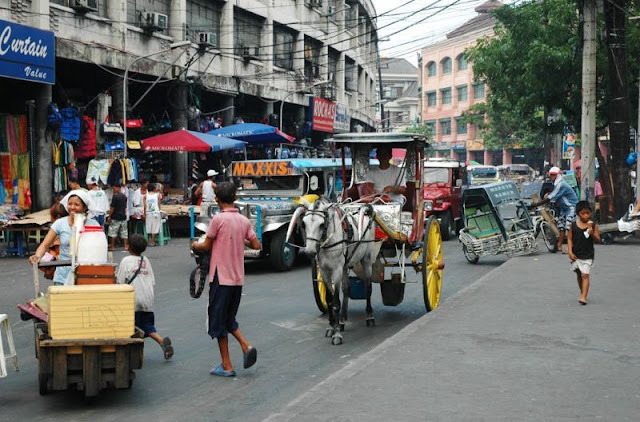 Divisoria Mall – This place is perfect for Christmas shopping. Lots of toys, giveaways, gift items, party materials – loot bags etc. You’ll find here the same toys you see in SM malls in a lot cheaper prices. More than half the price actually. Each Credit Card Guard Wallet costs 250P online, in Divi mall, wholesale price (at least 6) costs only 35P each! LED xmas lights costs 250P/10m in metrodeal. You can get them cheaper in Divi Mall. 168 Mall – Go here when shopping for clothes, shoes, wallets and bags! 2 pairs of doll shoes for 380P only! 999 Mall – Pretty much the same with what’s inside 168, except that 999 is bigger, and cleaner. Tutuban Cluster Bldg – Various textiles, curtains, bridal gowns, entourage gowns etc. Too bad, nasunog tong bldg na to earlier this year. Tabora St. – beads, ribbons, laces, wedding souvenirs, sewing accessories, masks, feathers, native products, hard-to-find kitchen items. Various beads stores (I still prefer Quiapo when shopping for beads) – Wellmanson is also located here. – Pls wear a comfortable footwear. Slippers are highly recommended. – Wear comfortable, light and cotton clothes. – Bring a reusable big bag, just like a sako bag! Trust me you’ll need it! – Shop early, and preferably on weekdays! – Common sense, if you want your ears to be intact, do not wear earrings in Divi! It’s dangerous! Better yet, do not wear any “alahas” when shopping in Divi. It doesn’t make sense diba. You don’t need to impress anyone there. Infairness, Divi’s traffic is much tolerable now. Less clutter in the hi-way, more space now unlike before, except lang when shopping at night. If you haven’t done your Christmas shopping yet, it’s not too late, go to Divi and have fun shopping! 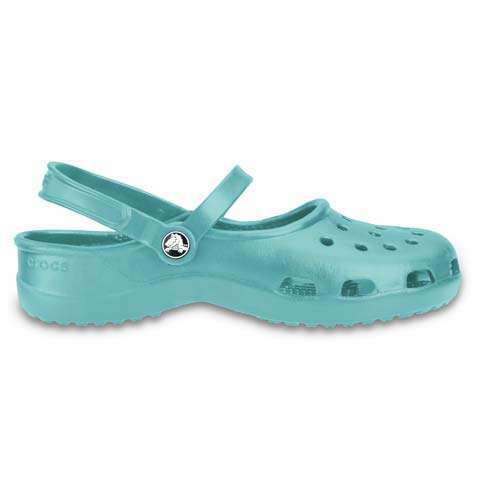 At first, I find crocs sandals very tacky and unappealing and funny. I didn’t like it. I secretly laughed at people who wears them. But everything changed when I got my own pair of Crocs. 2 years ago, I joined some friends for a Crocs shopping spree in Megatent. There was a lot of people lined up outside, even more when you get inside. Surprisingly, I ended up buying 4 pairs for discounted price. I love all of them! I now understand why people go gaga over Crocs! My favorite is the classic mary jane style. Too bad it’s phased out already. I wanna buy at least 2 more! they’re very very comfortable to wear. very sporty – I used it all the time when traveling. I even made them into water shoes. Still clueless on what to give your husbands/boyfriends this Christmas? Why not go unique this time and give him some personalized cufflinks for men? They will surely make the perfect gifts for your loved ones esp. if they’re the corporate types. You can also add a custom made tie with your pictures together. I know, it’s cheesy but love is supposed to be cheesy and corny, right? Yeay! Here’s the list of a few of my favorite things for this year! New pair of DUPE slippers – your alternative to super expensive slippers like Havaianas and Ipanemas. They’re made in Brazil too! They’re very affordable – almost half the price of Havainas. I received this last month via LBC. The packaging looked awesome! The black slippers with slim straps looked sooo comfy! Comes with Gel HXP technology – the heel portion of the slipper has this gel-like substance (I guess) that’s so soft. 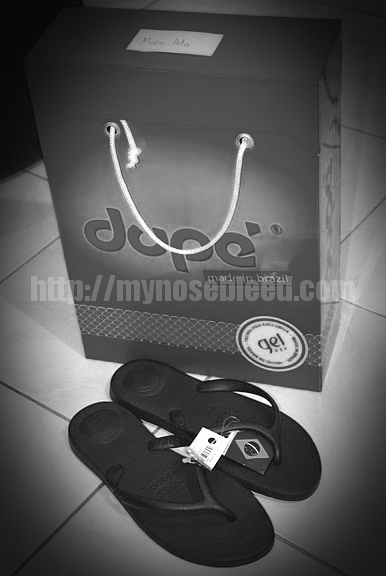 Last year on my trip to Singapore, I bought a pair of Ipanema Gisele Bundchen strap slippers for 20$. That’s cheap compared to our prices here. Carol bought the same exact thing in SM mall prior to our trip for 1500P and I got it for like 740P only. I actually don’t really need it but just so I can brag that I went shopping in Singapore hahaha (that’s the only thing i bought there and ok, some bags too), I bought it, besides, the half-the-price tag that came with it was just soo tempting. It was almost perfect except that one of the straps is too tight. They leave marks on my feet after a few hours, but once they get wet, the become really loose that my feet almost slips out from it. I haven’t used this new slippers on long walks yet so I can’t tell you if they’re really that comfortable. And can’t compare it with a Havaianas either since I don’t have a pair yet, but I heard my brother bought me one and will get it by May, so let’s wait until it arrives and I’ll tell you which one is better HAHAHA (careerin ba ang pag re-review ng tsinelas?!). Between Ipanema and Dupe, hmmm ok, I like both, but I’m a bit leaning more towards…SPARTAN lol. Thank you Krizzia of Dupe Phils. Mid-December to February is HK’s winter season. When we visited HK last March of this year, I didn’t know it was still winter season so I only brought one pair of jacket with me and an open toe footwear. I didn’t realize it’ll still be super cold. While almost every local wrapped themselves with coats, gloves, scarves and thick jackets, I was wearing summer clothes. I was like freezing to death on our first day. There’s no snow but it was noticeably cooler than Baguio and on afternoons, there would be some rains. I find HK winter fashion soo trendy. Here are some pictures I took on streets of HK. Love their fashion! We don’t get to enjoy wearing these clothes here in Manila with our very humid weather. So next time you plan to visit HK, make it on winter season and bring along those trench coats and boots with you. And they’re not at all cheap, plus, some salesladies are not friendly, esp. when you’re haggling for a better price. They can be very RUDE, they will shout at you and would insist you to buy even if you don’t want to. Go to Citygate Mall in Tung Chung instead. Almost all outlet stores offer original items on sale. Do you know that your bag speaks so much of your status in life? You sure remember those times when you grandmothers would keep their belongings in a purse tucked into their clothes, right? Those were the days when a woman’s role was largely domestic, but now, things are different. They no longer limit their capabilities within the household. They started to work, took control and became financially independent. And as they have emerged from being plain to being fashion savvy, handbag industry started to boom. Bags has become a statement of their status. What does your bag say about you? Are you one of the socialites wearing luxurious handbag design such as Louis Vuitton, Gucci, Prada and Hermes, or are you one of us – the jologs group who takes pride in wearing Secosana hahaha. I don’t usually go for branded bags. The first thing I look for in a bag is the usability, style and price. I could easily purchase branded ones (hahaha) but I don’t think it’s wise for me to squander most of my savings over a single designer tote bag or small purse. They’re just bags, in due time, they will tear too. I am not against buying expensive ones, but if you’ve got lots of money to spend on a genuine bag without putting a hole in your pocket, by all means, get an LV or a Chloe (See by Chloe Metallic Bag). But if you do not have enough money for a designer label, don’t pressure yourself. There are some reliable handbag products that are crafted out from durable leather materials you’ll find in malls. Recently,one of my former colleagues contacted me through friendster to ask if I could make a tiara for her wedding some time this year. Thank you Hannah, I am extremely overwhelmed. Thank you for believeing in my talent (if you can actually call it a talent lol). I wish you and Raymond a wonderful lifetime together. My congratulations to both of you! Cheers! This is not actually the first time someone asked me to make wedding tiaras. Another friend who owns a Bridal couture house asked if I could make tiaras for his collections. And another one asked me if I could make a special wedding cord for her wedding. Wow. I can really make a career out of this hehehe. Guys, if you ever come across this post, thank you sooo much. You honor me with your trust. Tiaras are very easy to do, but it could take a lot of time. They can be very simple to superbly ornate. Choosing your own tiara is rather easy, just make sure it will complement your wedding dress and coordinate with your accessories. If you have a stunning Monique Lhuillier Wedding Gown, a simple tiara will do. Today, I will show you how to make your wedding day extra bit special by handcrafting you own bridal tiara. Don’t worry if you’re not crafty or creative because all it takes are nice beads, a tiara head band and a good pair pliers! 1. cut your silver wire into about 5 and 7 inch per piece, make at least 30-40 pieces. 2. wrap your wires on the headband then glue them. 3. start adding your pearls and crystals. Place them alternately. Using your mini flat nose pliers, twist the ends of the wire. 4. shape the wires into any shape you want, then cut the excess wires. Once you have got all your wires glued and beads placed on, your wedding tiara is ready for your big day!